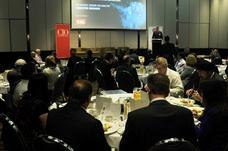 ​The ATO has said it will boost its long-running centralised computing contract with DXC Technology to $1.47 billion as it eyes up incoming procurement changes. DXC Technology will receive nearly $400 million for the multi-year end computing deal it struck with the SA Government earlier this year. CSC is setting up an office in Adelaide, staffed by 400 people, on the back of an end user computing contract to provide and support for PCs, laptops and tablets at South Australian government agencies. ​As a former CBA exec gets jail time for allegedly taking kickbacks from former ServiceMesh CEO, the legal battle to lay the bribery scandal to rest continues. 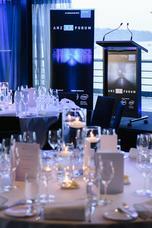 CIOs gathered at Sydney's Quay restaurant on September 6 for the thought leadership and networking event of the year, CIO Forum 2016, in association with EMC. Has RIM's BlackBerry had its day in the enterprise? They were once ubiquitous in the workplace, as much a symbol of executive status as the gold standard in enterprise mobile communications. Research in Motion’s (RIM) BlackBerry devices held all the corporate aces and with unrivalled high-end security features, their appeal to and grip on the enterprise sector seemed impregnable.